Student protesters attacked Prince Charles and Camilla’s limo on Thursday. Alex Massie on how Britain’s going French—and what it means for David Cameron. The attack on Prince Charles by student protesters was a godsend for David Cameron. Alex Massie on how Britain's unruly mob helps the prime minister. There are many ways to discredit a political cause but few are more effective than physically attacking the heir to the British throne. The front page of every British newspaper Friday morning demonstrated this most succinctly. There it was: the moment when the Rolls Royce carrying Prince Charles and his wife Camilla to the theater was besieged and assaulted by rioting students. Charles, dinner-suited and perturbed, Camilla ball-gowned and horrified. "Pure Terror in Her Eyes" screamed the Daily Mail while the Times' headline "Assault on the Capital" was only marginally less-apoplectic. The Prince of Wales and the Duchess of Cornwall were en route to the annual Royal Variety Performance when their car, somehow, was surrounded by a group of around 300 rioters who had broken off from the main student protests outside the Houses of Parliament to wreak havoc in some of London's most up-market shopping streets. The rear passenger window of the royals' vintage Rolls Royce was cracked and it was kicked and dented by protesters who also splattered it with paint. The royal family was not the only unlucky target of protest. Rioting students and anti-capitalist groups smashed the windows of the Treasury building. Others urinated on the statue of Winston Churchill in Parliament Square, just across the street from the House of Commons, while one student was photographed swinging from the Union Flag that hangs from the Cenotaph—Britain's principle memorial to her war dead. This wasn’t some disadvantaged teenager from one of London's tougher housing projects protesting against rises in university tuition fees but, rather, a bona fide "trustafarian" and history student named Charlie Gilmour—son of Pink Floyd guitarist David Gilmour. Altogether now, every wag in the country quipped: "We Don't Need No Education." Gilmour apologized today, but the damage had been done. It may have been just a minority of the 20,000 student protesters who captured the headlines, but they did more to discredit their cause than any argument the government could have produced. The pictures and footage of violence were also a reminder of the role luck plays in politics. The riots led Thursday's news bulletins and Friday's newspapers, deflecting attention from the first serious parliamentary rebellion against David Cameron's coalition. The government's majority was cut from 84 to 21 as MPs voted on controversial—and painful—plans to triple university tuition fees. For Cameron's coalition partners in the Liberal Democrats this was an agonizing moment. Nick Clegg, the Lib Dem leader and Deputy Prime Minister, had campaigned on a slogan of "No More Broken Promises" and every one of his MPs had signed a pledge to vote against any rise in tuition fees. The riots led Thursday's news bulletins and Friday's newspapers, deflecting attention from the first serious parliamentary rebellion against David Cameron's coalition. Power is about choices, however, and the Liberal Democrats found themselves in deep, uncharted waters. While Clegg tried to muster support for the government line, fully half his MPs rebelled against him and voted with the opposition. Clegg put his credibility on the line and may reap an electoral whirlwind after one of the more spectacular political flip-flops in recent memory. The rioters, however, may prove his best allies. "Middle Britain" was horrified by the scenes of violence and the half of the population that never attended college is unlikely to be impressed by the sight of well-off students disgracing themselves and defiling national monuments. For the coalition government, however, it was also a warning of what may be to come. As the deep spending cuts necessary to rebalance Britain's broken public finances take their toll, and as the young are radicalized by their perception of an uncaring government, such scenes, more reminiscent of Paris than London, may yet become a regular and disconcerting part of the British political landscape. 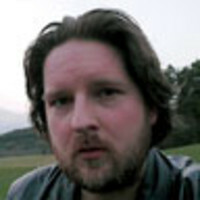 Alex Massie is a former Washington correspondent for The Scotsman and The Daily Telegraph. He currently writes for The Spectator and blogs at www.spectator.co.uk/alexmassie.